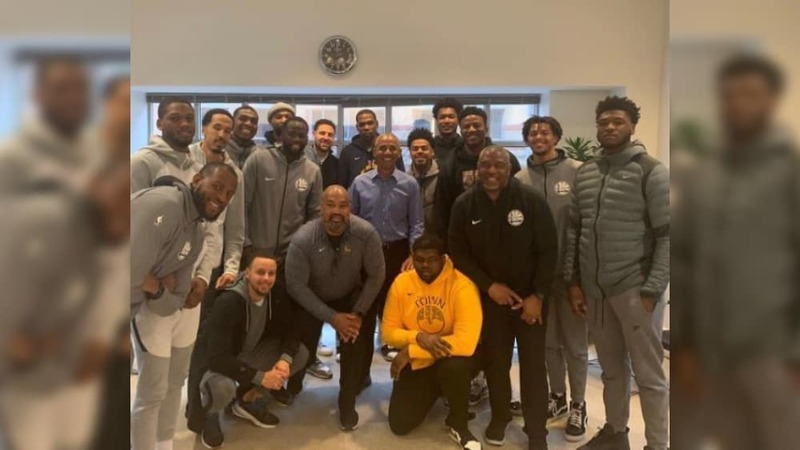 Warriors Skip White House, Meet With Barack Obama on D.C. Trip – YOU CANT STOP THE SHOW!! The Golden State Warriors still have no desire to visit President Donald Trump at the White House. The reigning NBA champions chose instead to visit with former President Barack Obama on their recent trip to Washington, D.C. According to mlive.com, a team staff member posted a photo of the visit on Instagram before quickly deleting it Thursday. Reporter Logan Murdock, however, captured a screenshot of the image and shared it on Twitter. Superstar Steph Curry reportedly arranged the meeting in place of visiting the White House for their 2018 championship. Following with sports championship tradition, the Warriors previously met with Obama after their 2015 NBA title. In 2017, after scoring another league victory, the Western team declared no interest in visiting President Trump, which led to him “revoking” their invitation.